Not a bad way to start our day, right? 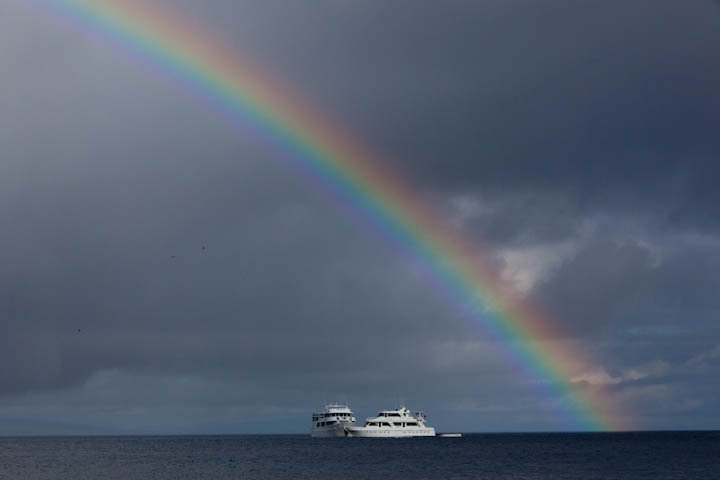 A rainbow over our boat. / Nada mala nuestra forma de iniciar el día, verdad? Un arcoíris sobre nuestro barco. 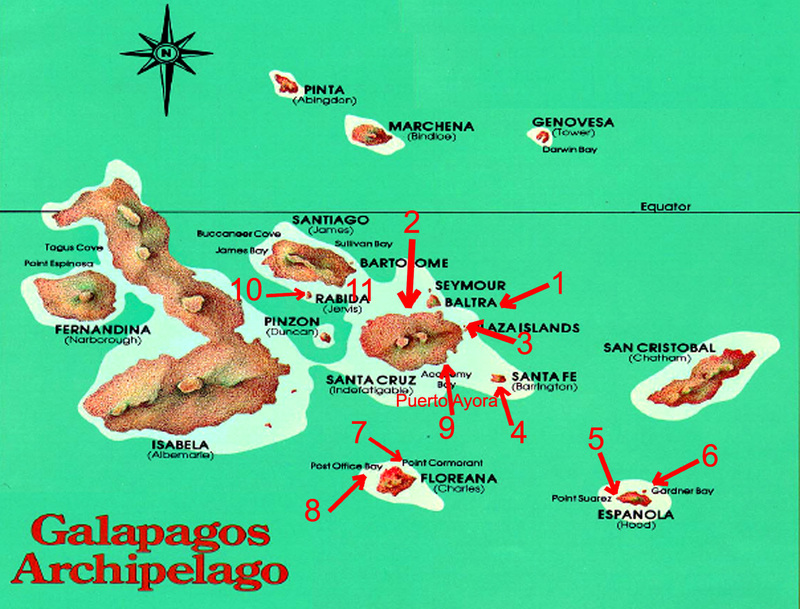 Este día nos dedicamos a visitar islas pequeñas que rodean a la isla de Santiago, la cuarta más grande del archipiélago. La primera Isla fue Rábida, y mi mayor recuerdo de ella es que tenía playa de arena completamente roja, una novedad para mi. 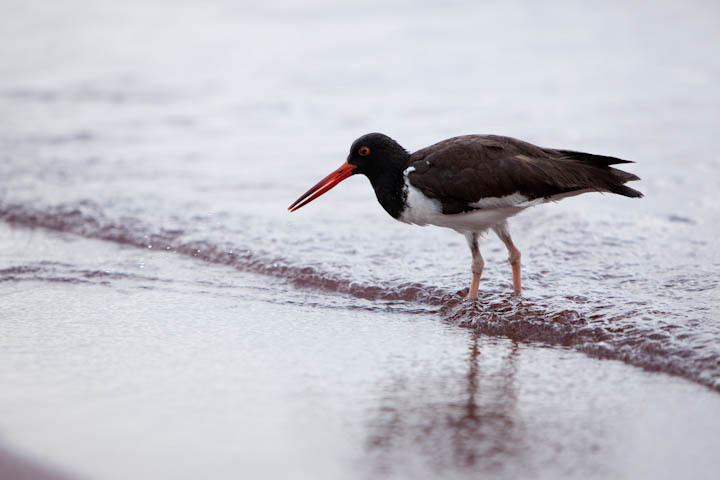 La caminata por la isla nos llevó a ver varios acantilados muy interesantes, rodeados por pájaros y cactus. No sé porqué, pero no tengo fotos tan buenas como en otros días, la verdad es que este fue un día “flojo” en fotografía. 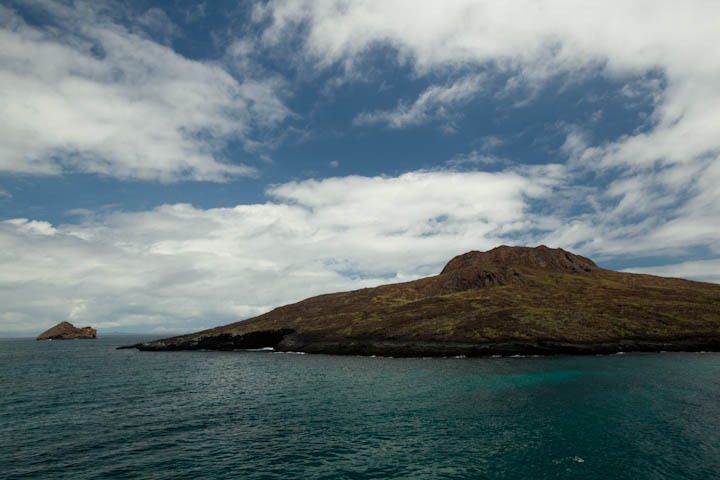 This day we visited two small islands near Santigao Island, the fourth biggest one on the archipelago. 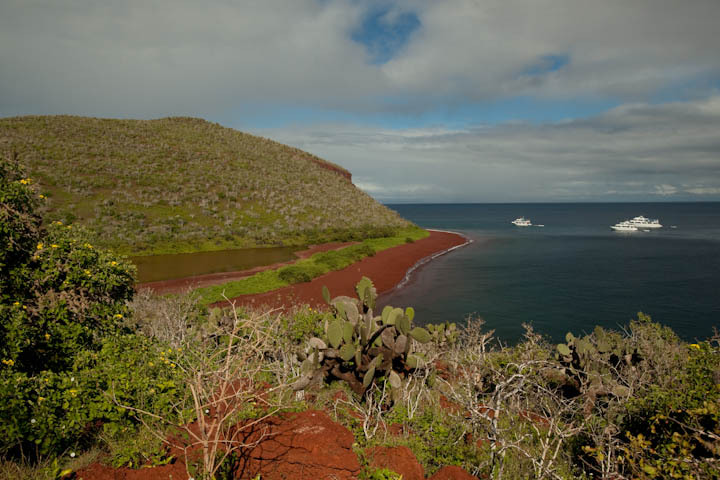 The first one was Rábida, and my biggest memory of it was that it has completely red sand, something new for me. The walk on the island was very pleasant, we got to see some fantastic views of cliffs and we were surrounded by birds and cactus. I do not know why, but this was a very “slow” day for my photography. I do not know what kind of bird this is... but I really like this photo! / No sé que tipo de pájaro es este... pero cómo me gusta esta foto! Una de las vistas. / One view point. I think this is a juvenile Cactus Finch, could somebody confirm it? 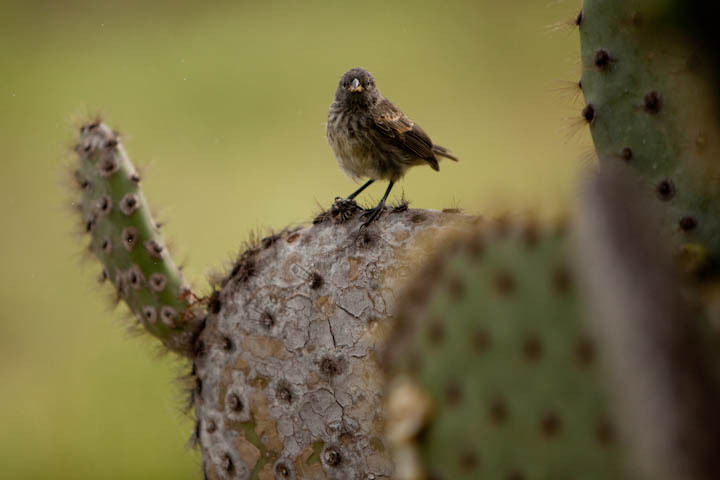 / Creo q este es un "Cactus Finch" juvenil (si, no sé cómo se llama en español) podría alguien corregirme? 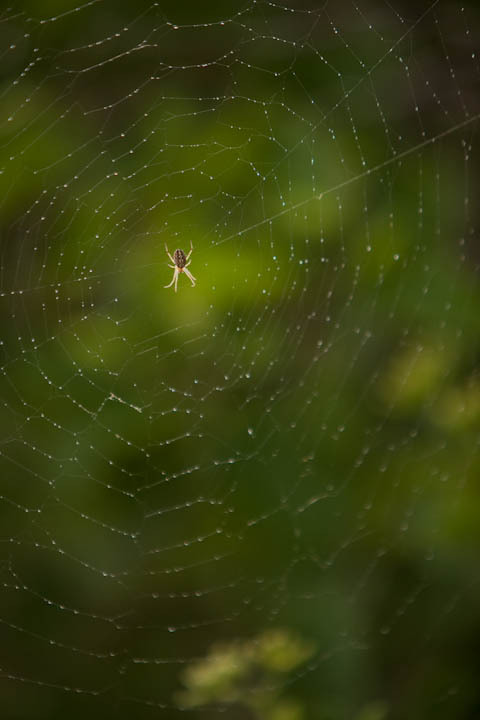 Yes, there are insects in the Galapagos, here's a spider! / Así es, hay insectos en los Galápagos, he aquí una araña. Y un saltamontes. 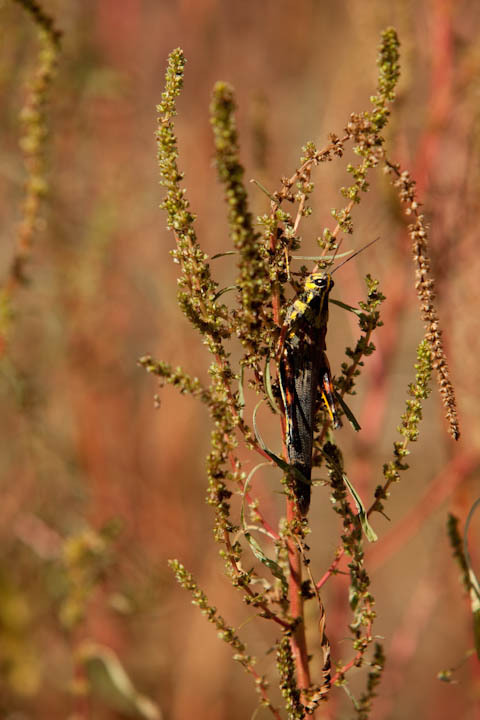 / And a grasshopper. Les mencioné que hay un montón de cactus en las islas Galápagos? 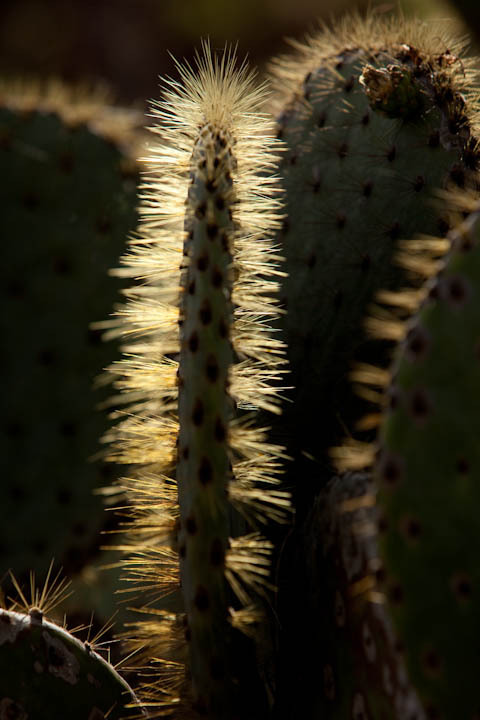 / Did I mention that there are lots of cactus at the Galápagos Islands? 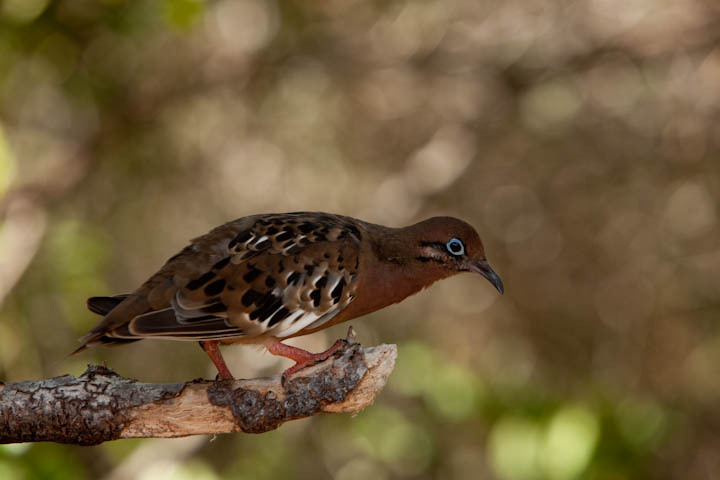 Galápagos' Dove. / Paloma de Galápagos. 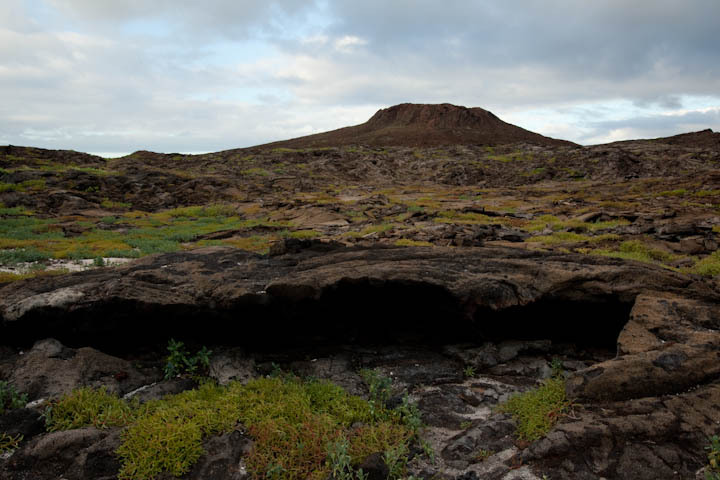 Then, in the afternoon we visited two magnificent islands that are an interesting prove of what happened many many years ago when the islands where forming: Chinese Hat Island and the Bainbridge islet. This two places were clearly craters and time has not yet been enough to soften there edges, letting us imagine how incredible it must have been when they were active. Now they are the house of animals like sea lions and flamingos. Luego, en la tarde fuimos a ver dos islas que son prueba muy interesantes de lo que pudo haber ocurrido muchísimos años atrás cuando las islas se estaban formando: la isla del Sombreo Chino y la isleta de Bainbridge. Estos dos puntos fueron claramente cráteres y el tiempo aún no ha sido suficiente como para suavizar sus orillas, dejándonos imaginar lo increíble que pudo haber sido cuando estaban activos. Ahora son la casa de animales como lobos de mar y flamingos. View of the Chinese Hat Island. / Vista de la Isla del Sombrero Chino. Lobos de Mar en la Isla del Sombrero Chino. / Sea Lions at the Chinese Hat Island. Una vena abierta de lo que fue el flujo de lava. / And open vein that once let lava run throught it. Islote de Braindbridge. / Brainbridge islet. 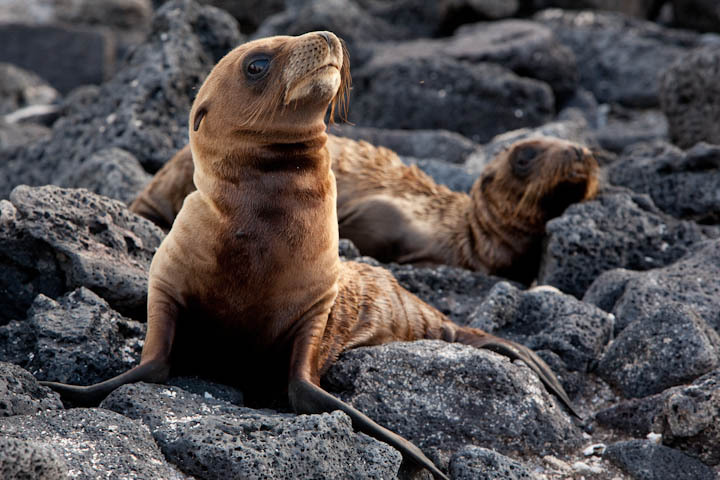 I know you are probably getting tired of my only posting about Galápagos… more than a month has pass since I came back. BUT, I was looking at the photos of the 3 days that are still left and I can tell you that it will be worth the patience, after that I have more snakes and frogs to show you! Yo sé que probablemente ya están cansados y cansadas de que sólo publique fotos de Galápagos… hace más de un mes que regresé. PERO, estuve mirando las fotos de los 3 días que falta de contarles y les puedo prometer que vale la pena la paciencia, luego de eso tengo fotos de serpientes y ranas que mostrarles!